MarketsandMarkets estimates the global TV analytics market to grow from USD 1.9 billion in 2018 to USD 4.2 billion by 2023, at a Compound Annual Growth Rate (CAGR) of 17.4% during the forecast period. The TV analytics market is growing rapidly with the intensifying business competition and the growth of social media and social advertising trends. However, the lack of skilled personnel would limit the growth of the market. Satellite TV or DTH companies offer direct broadcasting services that deliver television content through radio waves. The DTH providers use the power of analytics to understand the taste and preference of users, which helps them upsell products and services. Personalized content helps companies to not only increase the Average Revenue Per Users (ARPU), but also in reducing the customer churn. Cloud-based TV analytics solutions are in highest demand, owing to the faster and easier service provided by the OTT service providers. Major online content providers collect their audience data through their smartphone applications. The collected data helps the OTT providers in analyzing their customers’ behavior and improving their Return on Investment (RoI). Using cloud TV analytics, it is also easy to gather and segment data based on various demographics, which assists in better decision-making process based on the trends. The high growth of the market in APAC is attributed to the flexible economic conditions, industrialization and globalization-motivated policies of governments, and the expanding digitalization in the region. The highly competitive environment in the region is again expected to trigger the growth of effective TV analytics market that augments the overall RoI for the media and entertainment organizations. Moreover, the growing audience inclination toward the global contents has led to the growth of major OTT providers, such as Netflix, Amazon Prime Video, and HotStar, through which audiences can get an easy access to the content of their choice, anywhere, at any time. All these factors are expected to contribute to the growth of the TV analytics in the Asian countries. In-depth interviews were conducted with the Chief Executive Officers (CEOs), marketing directors, other innovation and technology directors, and executives from various key organizations operating in the TV analytics market. The TV analytics market comprises major solution providers, such as IBM Corporation (US), Google (US), The Nielsen Company (UK), Zapr Media Labs (India), Alphonso Inc. (US), TVSQUARED (Scotland), DC Analytics (England), Amobee, Inc. (US), 605 (US), Clarivoy (US), TVbeat (UK), BLIX (Australia), H-Tech (Bulgaria), DC Analytics (Germany), SambaTV (US), AnalyticOwl (US), Edgeware AB (US), Realytics (France), Sorenson Media (US), FourthWall Media (US), Parrot Analytics (US), iSpot.tv (US), Admo.TV (France), Conviva (US), iQ Media (US), and BrightLine (US) The study includes in-depth competitive analysis of these key players in the TV analytics market with their company profiles, recent developments, and key market strategies. The TV analytics market revenue is primarily classified into revenues from software and services. Software revenue is associated with software and platform offerings, while the services’ revenue is associated with managed and professional services. The professional services comprise support and maintenance, and consulting. The market is also segmented on the basis of TV transmisiion types, applications, components, deployment models, and regions. The report would help the market leaders/new entrants in this market with the information on the closest approximations of the revenue numbers for the overall TV analytics market and the subsegments. This report would help stakeholders understand the competitive landscape and gain insights to better position their businesses and plan suitable go-to-market strategies. 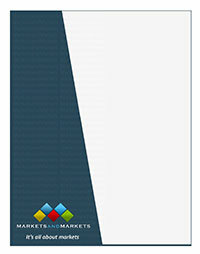 The report also helps stakeholders understand the pulse of the market and provides them with the information on the key market drivers, restraints, challenges, and opportunities.